Bradford Beck was once instrumental in bringing prosperity and industry to Bradford when the city was the world’s foremost producer of woollen and worsted cloths. Such industry took a heavy toll on the Beck which remained heavily polluted until the decline of the textile industry in the 1980’s. Until then, no fish were present in the Bradford Beck and pollution warning signs dotted the banks. Although greatly improved since the 1980’s, Bradford Beck remains in a poor ecological state, largely ignored and forgotten. In 2012, the Friends of Bradford’s Becks group was formed and we undertook an extensive survey of the beck and its tributaries. We produced the Bradford’s Becks Catchment Management Plan to help create a better beck for a better Bradford. Top of the action plan is the aim to clean up the river and make it free of pollution in accordance with the Water Framework Directive which obliges all EU member countries to ensure their water-courses are of a “good” ecological status. Bradford Beck is classified as in “poor” health defined by high concentrations of ammonia and lower than expected numbers of aquatic insects. 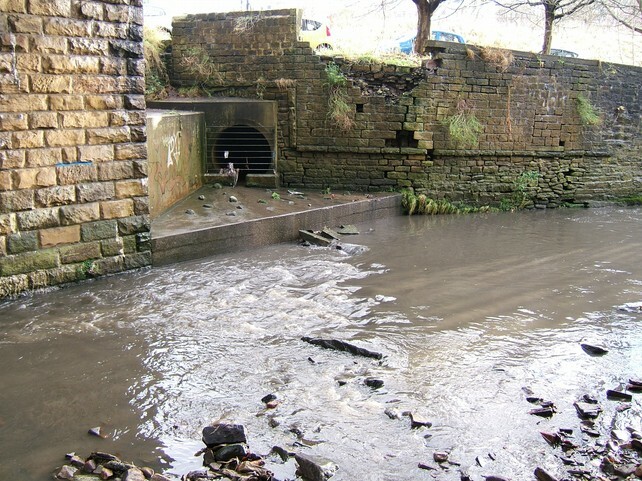 The EA assessment of Bradford Beck as having “poor ecological status” corroborates the perception that there has been an increase in levels of diffuse pollution in recent years. This has been borne out by anecdotal observations of fewer fish and birds in the Beck, more foul smells reported around the Beck and more pollution incidents reported by FoBB members. With very little stomach shown by the authorities to tackle the problems, FoBB arranged a programme to try and identify the sources of pollution incidents. 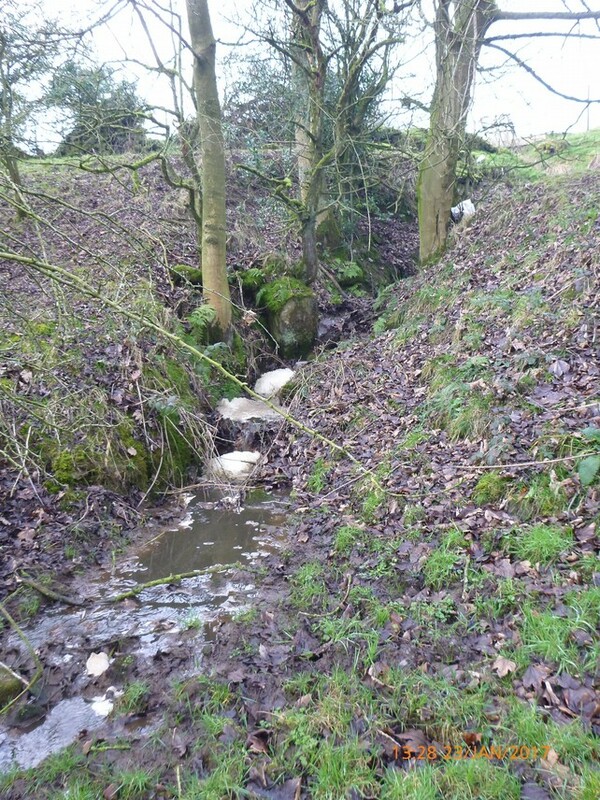 The project established that a large proportion of the Bradford Beck catchment could be monitored with observations at just 12 strategic points along the course of the Beck, so observations would be made at all 12 points on different days of the week and at different times of day. Observations would only be made during low flow conditions. 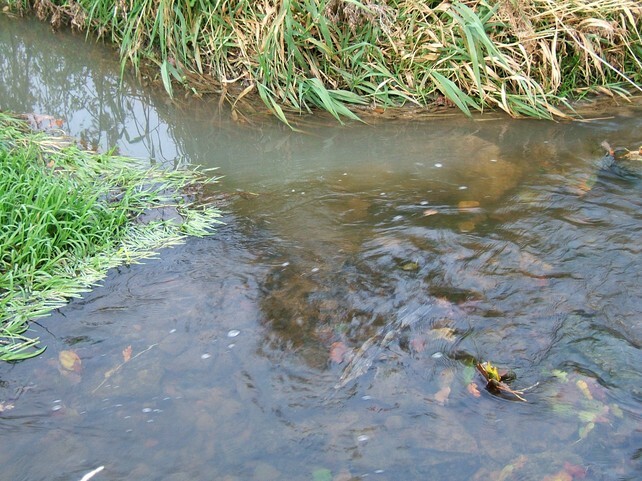 This would eliminate any concerns of pollution that may arise from natural sediment in the water during high flows and also those episodes of permitted sewage discharge into the Beck from CSO triggering following rainfall events. A record of the status of the Beck at each point would be taken. This would include the level of the water, colour of the water, smell, turbidity and a photograph of each site. Using this approach, it was hoped that it would be possible to record and track the source of pollution entering the Beck. The glowing tampon test could be used to quickly determine if a found source of pollution contained optical brightening agents as found in laundry detergents and was therefore related to either domestic sewage or a domestic misconnection. 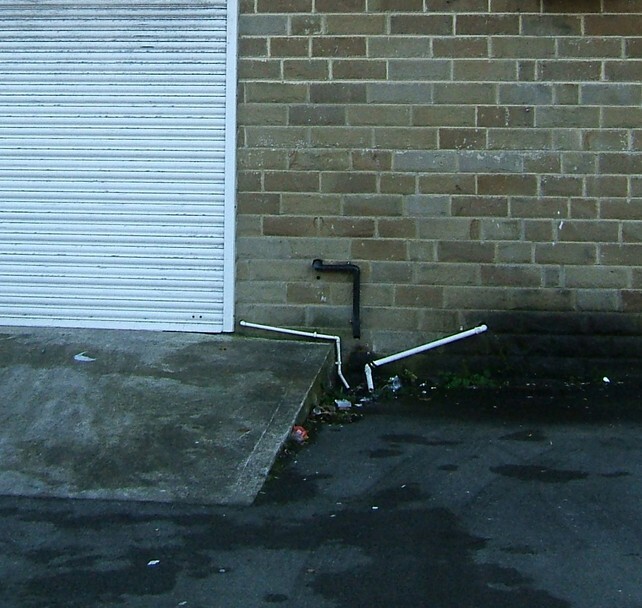 FoBB’s project coincided with a project by EA, whereby the water quality of Bradford Beck was being monitored in real time, 24 hours a day, in two locations. Two devices, known as sondes, are permanently placed on the bed of the Beck. Each sonde monitors several parameters of water quality and sends data back to a central control. The measurements are then recorded and graphs plotted which can be viewed via a web page on the internet. The EA project is specifically aimed at recording the triggering of sewage discharge from CSOs into the Beck. The live data from the 2 sondes in the Beck have been, very kindly, shared with FoBB. Here is a screen shot of the output from the web page showing a typical graph of the metrics over a period of six days. Types of Pollution Observed in Beck. 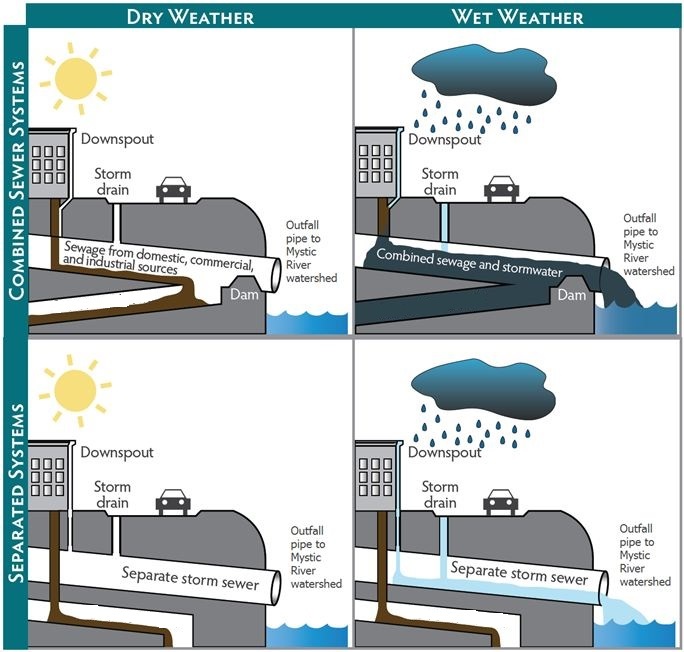 Domestic misconnections which direct effluent into drains transporting rainwater directly to rivers, rather than taking effluent to sewage treatment works as it should. Results: poisoning or suffocating aquatic life and destroying natural habitat. 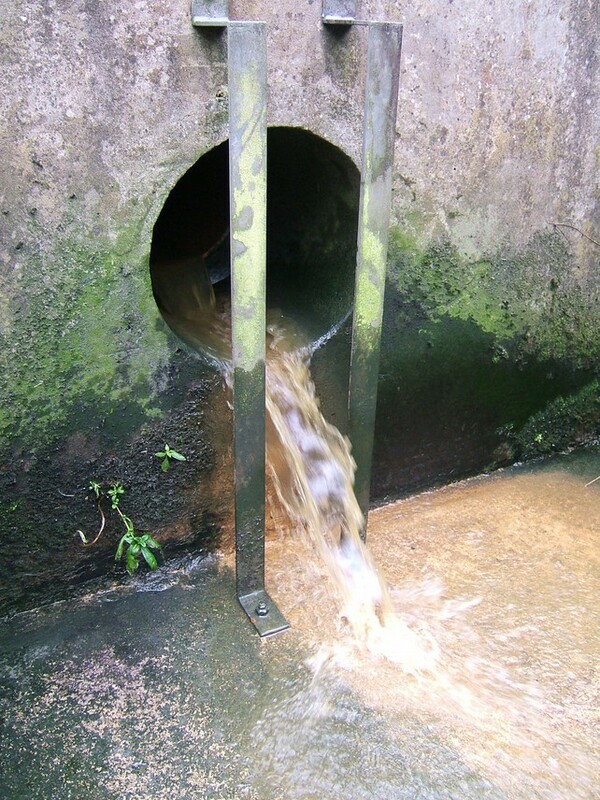 Gross pollution occurs intermittently in culverted sections of the Beck system. Farm slurry escaping into Harden Beck. Food waste poured into a surface-water drain. Surface-water run-off after heavy rain entering the beck by Shipley station. Sediment settled after the above rain incident. Fly tipping along Bradford Beck. 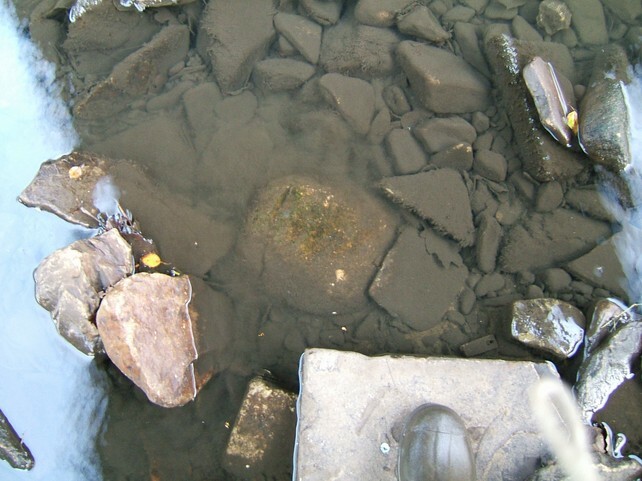 Sewage fungus, Pitty Beck, indicating a chronic sewage leak. 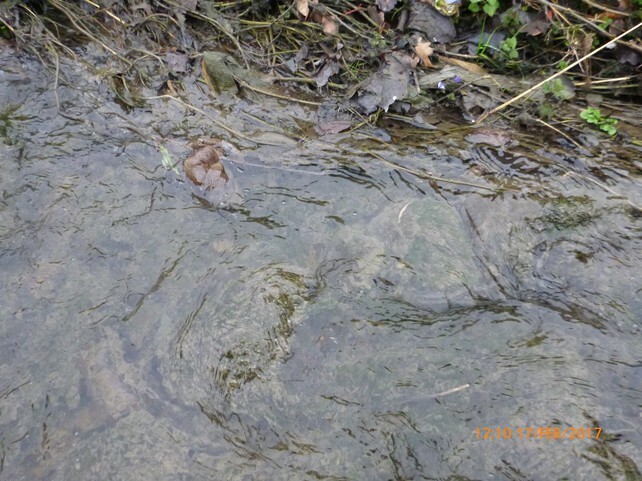 Turbid domestic effluent entering Pitty Beck. 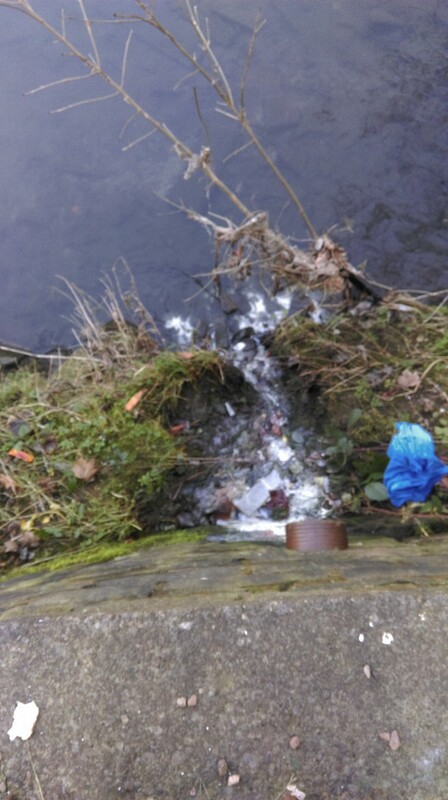 Turbid odorous discharge from a food processing factory entering Bradford Beck. Are watercourses being diverted into sewers? If so, detrimental to CSO discharges into Beck? The report was sent to Environment Agency, Yorkshire Water and Bradford Council on July 2017. The hope is that they will work together, with us, to take the state of the Beck seriously and plan some action!